The project was 400m² of wet underfloor heating installed over two plots of the residential development. 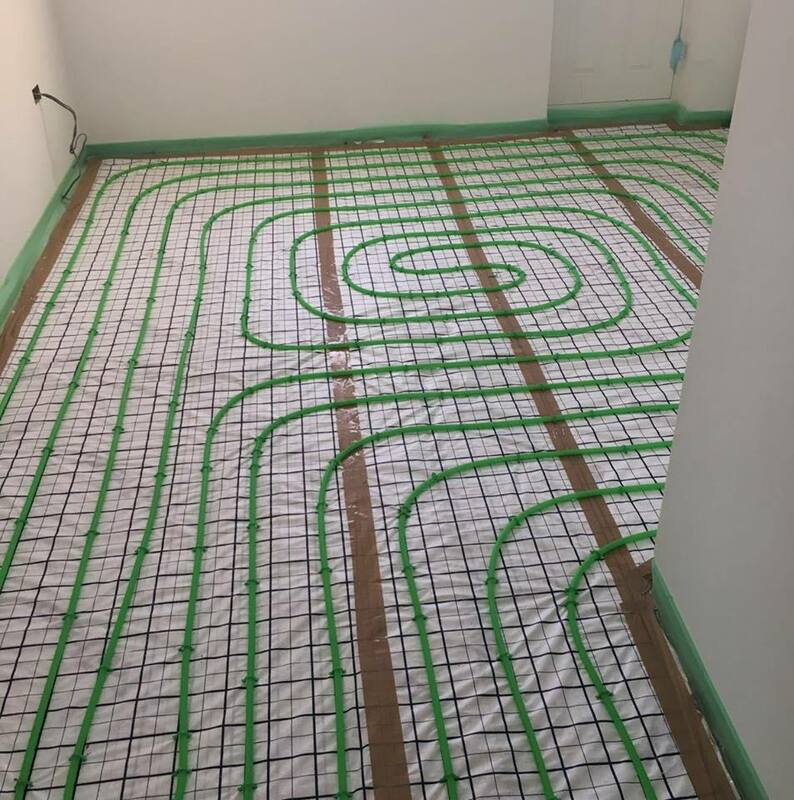 Using the Isowarm Tacker system and Isowarm UFH system materials, the team were clipping directly to the insulation with a bonded grid membrane allowing a fast and professional looking installation . 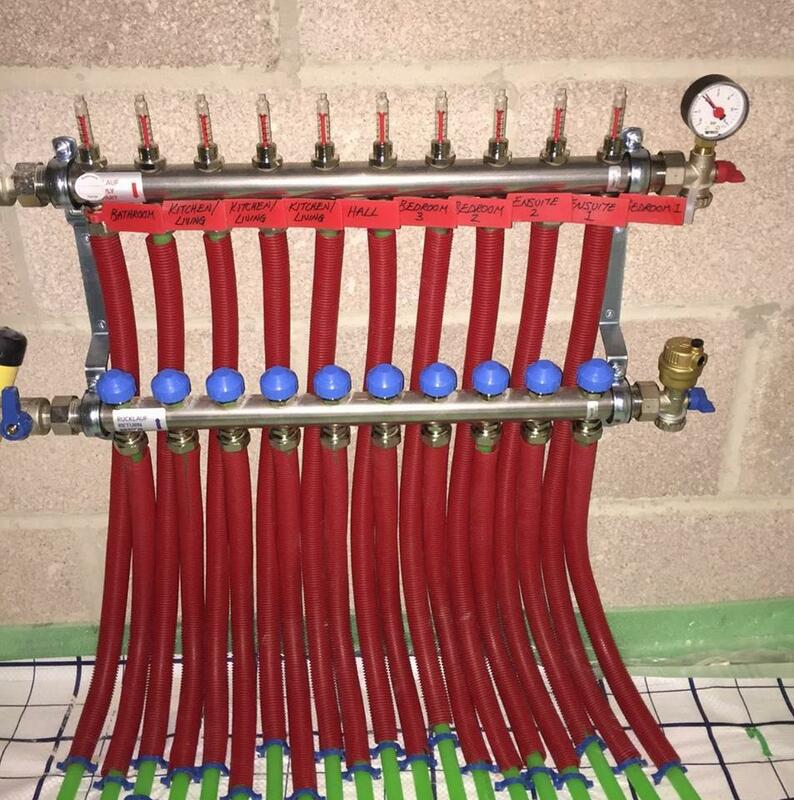 The UFH PE-RT Pipework installed was piped at 200mm centres to maintain a comfortable output of the floor heating system to match the heat losses of the building.